The conditions at Tesla’s production facility leading up to meeting its Model 3 production goal have been reported as nothing short of hellish as Elon Musk "barked" at employees working 12 hour shifts, bottlenecking other parts of the company's production and reportedly causing concern by employees that the long hours and strenuous environment would cause even more workplace injuries and accidents. Some Tesla analysts and bulls seemed surprised that the company's stock fell on Monday, even after the company was able to report at the end of the weekend that it had not only reached its 5,000 Model 3 per week goal, but also that it had produced 7,000 vehicles overall. “I think we just became a real car company,” Musk wrote in an e-mail to his employees after meeting the goal for one week. This led to a nearly 30 point swing in the price of Tesla stock during trading on Monday. The stock opened and was quickly over $360 per share before it ultimately faded, gave up all of its gains and went on to finish the day red by several percent. Perhaps this quick loss of confidence was a result of investors finally reading behind the surface level headlines. Sure, Tesla was able to produce 5,000 Model 3's in a week, but at what cost? Skeptics and bears had asked what the point of meeting the 5,000 per work goal was if it must be done in an “all hands on deck“ fashion that is going to burn out employees and bottleneck other parts of the production line. For instance, it's now being reported that the company's Model S line is 800 cars behind schedule. On Tuesday, Reuters reported that this is basically exactly what happened. 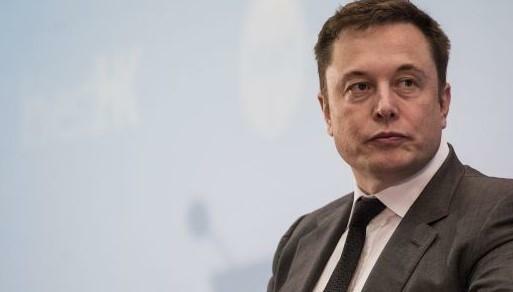 In addition, they reported that a “short tempered“ Elon Musk personally oversaw production and “snapped“ at employees who were told that that weekend work days were mandatory and that 12 hour shifts should be expected. A tense and short-tempered Chief Executive Elon Musk barked at engineers on the Fremont, California assembly line. Tesla Inc pulled workers from other departments to keep pumping out the Model 3 electric sedans, disrupting production of the Model S and X lines. And weekend shifts were mandatory. Leading up to Sunday morning’s production milestone, Musk paced the Model 3 line, snapping at his engineers when the around-the-clock production slowed or stopped due to problems with robots, one worker said. 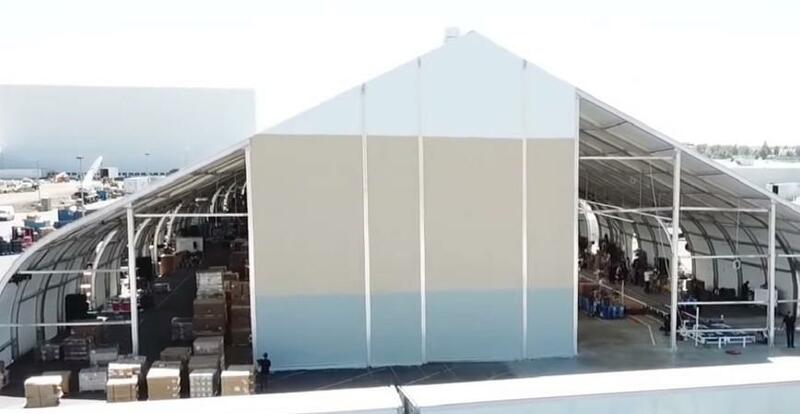 Tesla built a new line in just two weeks in a huge tent outside the main factory, an unprecedented move in an industry that takes years to plan out its assembly lines, and said the tented production area accounted for 20 percent of the Model 3s produced last week. “They were borrowing people from our line all day to cover their (Model 3) breaks so the line would continue to move,” said a Model S worker on Sunday. Because of the focus on the Model 3, the S line is about 800 cars behind, the worker said. Last week’s big push also brought a rewrite of the employee attendance policy. After mandatory weekend shifts were assigned, two workers said, Tesla rescinded a policy promising workers at least one week’s notice before weekend work. “The manager and supervisor are verbally going around and saying: ‘If you don’t come in, you’ll be written up’,” one of the workers told Reuters last week. Some employees are worried the frenetic pace plus long hours could burn out workers. One employee said they were told to keep working until they met their daily production mark, not when their shifts ended. 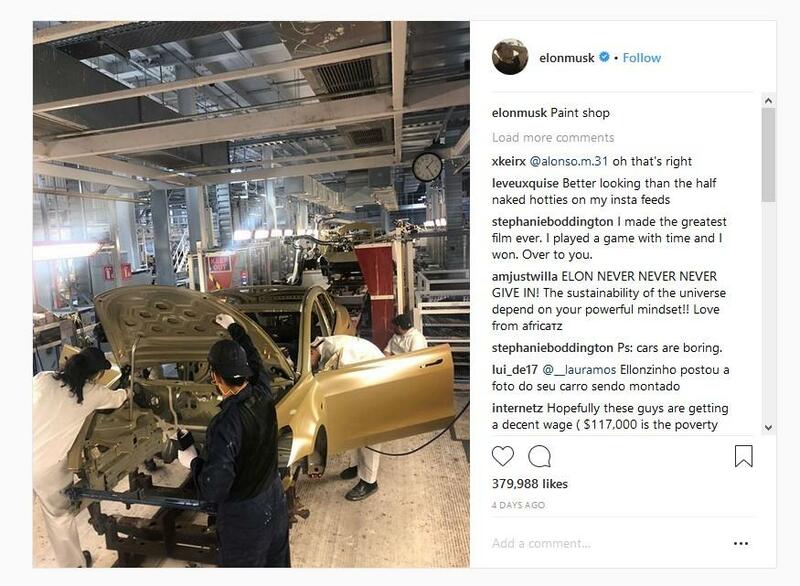 Confirming an earlier Reuters report from late last week, Reuters again noted that the influx of new vehicles at a high rate bottlenecked the company's paint shop, despite CEO Elon Musk responding to these allegations last week by Instagramming a relatively meaningless photograph of the company's paint shop as if to say “hey, everything is fine." Disruption of the Model S and X lines could threaten Tesla’s target of building 100,000 of those vehicles in 2018. Tesla built 49,489 of those cars in the first half of this year. Asked about the potential S and X impact, Tesla said it also produced 1,913 of those vehicles during the last week of the quarter along with its Model 3s. Tesla said it built a total of 28,578 Model 3s in the second quarter, and 40,989 since production began last July. In the morning of Sunday, July 1, about five hours after the self-imposed second-quarter deadline had passed, the number 5,000 flashed on a countdown screen viewed by Tesla’s Model 3 assembly-line workers. The Model 3 itself bore a “5,000” sign in its front window. Tesla said on Monday that some of its Model 3 production would be on break as part of the July 4 holiday, with production to resume on Thursday. Tesla plans to build 6,000 Model 3s per week by August. But the worker told to expect longer shifts warned that pushing assembly-line workers too hard could backfire. “He (Musk) is gonna go through an awful lot of people because people are gonna start getting hurt left and right,” by the fast-moving assembly line, the worker said. Tesla had released a production update early Monday claiming that it had met its 5,000 car per week a goal by “factory gating“ 5000 Model 3s and 7000 total cars over the course of a week. As one astute observer noticed on Twitter, however, the time from reserving your Model 3 to getting it delivered has shrunk. This seems to indicate that the pool of orders waiting to be filled on the Model 3 is also starting to shrink. For now, the company technically has “hit its goal“ - but are we going to find out soon that the price that they paid for it in terms of not only overtime, but also production facility inefficiency and employee well-being, wasn’t worth it? The market already seems to think so.